Please be sure to provide a valid e-mail address with your order. After thirteen years of publication, we are taking a much needed and well deserved break and have retired Keltria Journal. Our last issue was Lughnasash 1998. We are considering returning to Publication in 2007. Orders for back issues will be filled while supplies last. Keltria: A Journal of Druidism and Celtic Magick explored the Paths of the Bard, Seer, and Druid with articles and stories. The Path of the Bard presents poetry, story telling, our ancestors, transformative magick, and the Celtic World of Sea. The Path of the Seer examines the nature spirits, herbalism, natural magick, divination, and the Celtic World of Land. Language, the Old Gods, ethics, and ritual are the purview of The Path of the Druid. Through these paths, interviews, and reviews, Keltria Journal provides a valuable source for information concerning Celtic Neopagan spirituality. 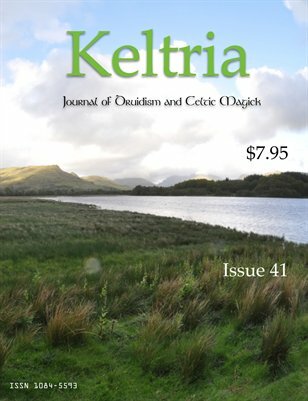 The articles in Keltria Journal will always be pertinent to Celtic studies and Druid history and practice. Reading past issues provides insights into the fascinating worlds of modern Neopagan Druidism and the Celtic Spiritual Revival. Thank you for your patronage and we look forward to your ordering back issues. "Fascinating reading for anyone interested in Druidry and Celtic matters." - Philip Carr-Gomm, Author - Elements of the Druid Tradition. 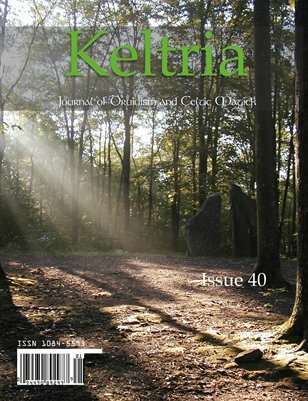 "Keltria Journal is the best produced Pagan Celtic journal in America today, its articles are of consistently good quality." . - Ellen Evert Hopman, Author - A Druid's Herbal. You can find sample articles and article excerpt On Line. I thank you for visiting our web site. We have excerpts and complete articles from many issues of our journal on line. Contents of this site are © 1999, 2007 Henge of Keltria, all rights reserved unless otherwise noted. If you are experiencing problems with this page please notify the Webmaster.